The purpose of a wheelchair is often to increase a person’s mobility. But a chair that is heavy or awkward to maneuver is going to increase the difficulty of getting out and about with ease. 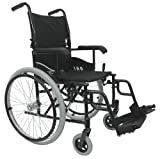 Lightweight wheelchairs are designed to be easy to handle and transport. You can easily pick up a lightweight wheelchair and store it in the trunk or back of a car or a closet. People who use lighter wheelchairs also often find them easier to propel. 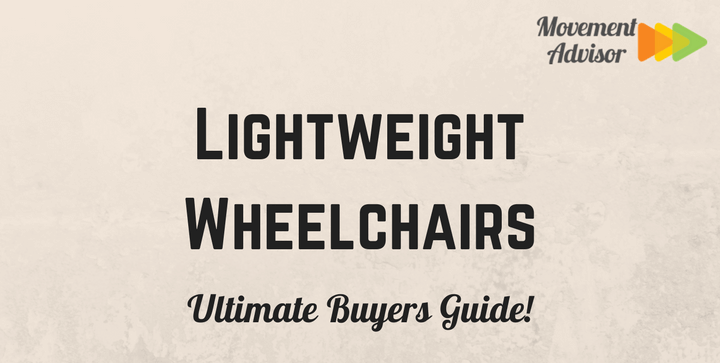 Who Should Use a Lightweight Wheelchair? People use wheelchairs for a variety of reasons. A person doesn’t have to be permanently disabled to benefit from the use of a wheelchair. 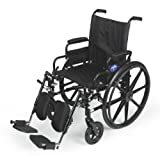 In fact, lightweight wheelchairs are ideal for people who still have some use of their limbs or for individuals who are experiencing a temporary injury. For example, older people often have difficulty walking for long distances. They might be able to stand long enough to get from the door of their home to the door of their car, but not able to take a walk around the grocery store or mall. A lightweight chair is perfect for older people with limited mobility, as they can easily stow it in the trunk of their car and use it when traveling. In some cases, having access to a lightweight wheelchair can help an older person maintain his or her independence. If the chair is light enough for a person to lift and use on his or her own, he or she won’t need the assistance of a nurse or other caregiver. Additionally, a person suffering a temporary injury, such as a broken leg or twisted ankle, can benefit from a lightweight wheelchair. The chair is easy enough for a slightly injured person to maneuver and propel on his or her own. The material used for the frame of the wheelchair has the biggest effect on its overall weight. Some metals simply weigh more than others. For example, many standard wheelchairs typically have a steel frame. Steel might be a relatively sturdy metal. But it’s also a heavy one. Standard steel wheelchairs can weigh 50 pounds or more. Lightweight wheelchairs on the lower end of the cost spectrum tend to have an aluminum frame. Aluminum is a softer metal than steel, meaning it often can’t hold as much regarding weight. But it also tends to be relatively lightweight itself. Aluminum wheelchairs tend to weigh between 25 and 40 pounds. On the more expensive side, some wheelchairs feature titanium frames. Titanium is a very sturdy and very lightweight metal. Chairs with a titanium frame can weigh under 15 pounds. The tradeoff is that those chairs tend to cost a lot more than other options. Aside from the frame materials, you want to keep an eye out for some other features when choosing a lightweight wheelchair. Along with mobility, comfort should be a key concern when selecting a chair for a loved one. Leg Rests. Leg rests on a wheelchair can either be “swing-away” or “elevating.” Swing-away leg rests often come standard and are helpful for people who have some use of their legs and might want to “walk” their chairs while sitting in them. Elevating leg rests let you lift the legs of the person seated in the chair and can be useful for those with blood flow issues. Armrests. Armrests typically come in two sizes: full length or desk length. Desk length armrests are ideal if you plan on pulling the chair up to a table or desk while eating or working. Additionally, some chairs feature fixed armrests, which don’t move, while others have arm rests that can flip down or that you can push out of the way. Cushions. The type of cushion a wheelchair has is particularly important if a person is going to spend hours at a time sitting in it. Memory foam cushions tend to be the highest quality, as they don’t flatten or compact with time. Traditional foam cushions are cheaper but do wear down more quickly. Wheels. The size of the wheels determines who can control the chair. If the user wants to self-propel the chair, large back wheels are a must. If someone else will push the chair, a transport style, with four smaller wheels, can be an appropriate pick. Safety Features. Some wheelchairs have more safety features than others. To protect your loved one from harm, you’ll want to find a chair that has anti-tip guards on the back, brakes to keep the chair from rolling forward, and a seatbelt to prevent a person from slipping out of the seat. The best lightweight wheelchair will fit the person using it. Not all chairs are the same size. Before you invest in a chair, you want to measure the individual who will use it to make sure he or she can comfortably sit in it. Although you can find standard wheelchairs with a seat width of 20 inches or more, lightweight wheelchairs tend to be smaller. Many models have a seat width of 18 inches. Some have narrow seats, measuring just 16 inches across. The height of the seat determines whether a person can easily move the chair using his or her feet. If a person usually walks him or herself in the chair, you’ll want to find a model that has a lower seat height. But if the person plans on using the leg rests, a higher height is preferable. A model that has an adjustable seat height can be the best of both worlds, as it lets a person choose whether to drag the feet or let them dangle. All wheelchairs have weight limits. Lightweight chairs tend to hold less weight than conventional models. For example, it’s common to find lightweight models that can hold up to 250 pounds. Meanwhile, a standard chair can often hold up to 300 lbs., if not more. From simple wheelchairs to models with lots of bells and whistles, there is a lightweight wheelchair out there to fit your needs. Here are a few of the most highly rated models. 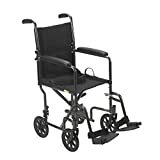 The Drive Medical Lightweight Steel Transport Wheelchair is a budget-friendly model that folds up for easy storage and transport. As a transport wheelchair, it features four small wheels and needs someone to push it from behind. Although it has a steel frame, the wheelchair weighs under 30 pounds. It is available in two seat widths, either 17 inches or 19 inches. The armrests can be fixed or desk-length and removable. Since it is on the small side, it is designed for use in narrow hallways and spaces and will easily fit through most doorways. The one downside of the Drive Medical wheelchair is that its small size limits who can use it. If your loved one’s hips are wider than 19 inches across or if he or she weighs more than 250 pounds, this isn’t the best option. The Medline K4 Standard Lightweight Wheelchair has a few more features than the Drive Medical model but also weighs a bit more. It clocks in at 33 pounds, making it one of the heavier lightweight models available. The chair features large back wheels so that a person can self-propel the chair. The wheels also feature a quick-release option, allowing you to take them off for easy transport of the chair in a car or van. Size wise, the chair comes in two seat widths, either 16-inch or 18-inch. Either model can hold up to 300 pounds. Both the leg rests and the armrests on the chair are adjustable. It features desk length armrests, so you can easily roll the chair up to a table during a meal. Since the armrests are removable, it can be easier to help a person into or out of the chair. The leg rests are elevating, and feature cushioned calf pads to improve a person’s comfort. The Karman LT-980 Ultra Lightweight Wheelchair weighs just 24 pounds and features an aluminum frame. It’s available in one seat size, 18 inches wide by 16 inches deep. According to the manufacturer, the goal of the LT-980 is to help people maintain their independence. For that reason, the chair isn’t just super light. It also has large, 22-inch back wheels so that you can self-propel it. The chair also folds easily for storage at home or in the trunk of a car. When choosing a lightweight wheelchair, you want to find a model that is easy for your loved one to use and that is comfortable enough for daily use. The right wheelchair can help a person be more independent and help him or her get around with ease.